Jetlagged, cold and slightly irritated. That’s most of what I remember first stepping off the plane in Gardermoen. Everything looked and sounded like gibberish, and I just wanted to lay down. I’d never really been out of the US before so I was apprehensive to say the least, throw on top of that the fact that I hadn’t lived in a dormitory in about a decade. My experience in dorms at UT wasn’t pleasant, but I managed to snag one of the single rooms, so that gave me some comfort. Our group upon arrival, waiting for our keys. My next concern was our dorm mates, the Norwegians. I had read countless articles about the introverted people and their slowness to warm to new people. If I can stress anything, this was the biggest load of lies I’ve ever seen. We were greeted by Bjørn. A veritable giant of a man, with a personality to match. Within minutes he managed to make all of us laugh despite our sour moods from traveling. Then we met Karoline, another extremely friendly person who showed us to our rooms before our official tour of the grounds. My room was small, about 10ft wide and 16ft long, with a sink, bed, desk, dresser, bookshelf, window and I shared a shower with Heather and Alex next door. Not too shabby honestly. The bed’s a bit small for me, but it would do for the next few weeks. There was no wifi, but there was ethernet access, so I could manage, and to be honest I didn’t see myself doing much in my room besides sleeping. On our tour is when I realized things would be far beyond anything I’d ever experienced. We started in the main hall which had a living room, which felt more like an old library. Here hd wifi and people could work on their computers or study together. Within that room was an attached library (I’ve yet to explore it though since it is a quiet space). This building also contained the Cafeteria (Matsalen) where our meals would be served. It is a huge room with several long tables and shields dedicated to outstanding residents covering the walls. I couldn’t help but think about viking dining halls that I’ve read about in history books. There was a real sense of community that I got from that room. Which would be a common theme for the rest of our day. From there we were lead down a curved staircase to the dormitories’ bar. Thats right folks, they have their OWN BAR! Oddly named “Billa Bar” open only Wednesday nights and festivals. From here things took a turn. We learned quickly that these folks love to party. Now I cannot speak for everyone, but it felt like something out of a cheesy 90’s college movie. There was a piano in the bathroom… A room appropriately named “Vallhal” where you drink a bottle of beer and smash it against the wall, if it doesn’t break you have the chug another. A “theater” room, with a large TV and several couches, a music room, a sauna and a very creepy roman style bath… Oh and not to mention beer cans could be found everywhere. All the buildings were joined by a labyrinth of tunnels underneath the main courtyard. Our tour was further enhanced by the glorious commentary of Bjørn and Karoline. Who’s sense of humor was even more dark and morbid than mine. Bjørn regaled us with stories of drunken debauchery and other activities that seemed more like a screenplay than memory. All these stories were later confirmed by other residents, so I feel his credibility is high. All that aside, after that very first night when all the inhabitants (or at least if felt like it) came out to a party, the following day was a national holiday so everyone was in high spirits, I felt like I could call this place home. I must have talked to fifty people about things ranging from politics to weird food habits. I’ve never seen anything like it. 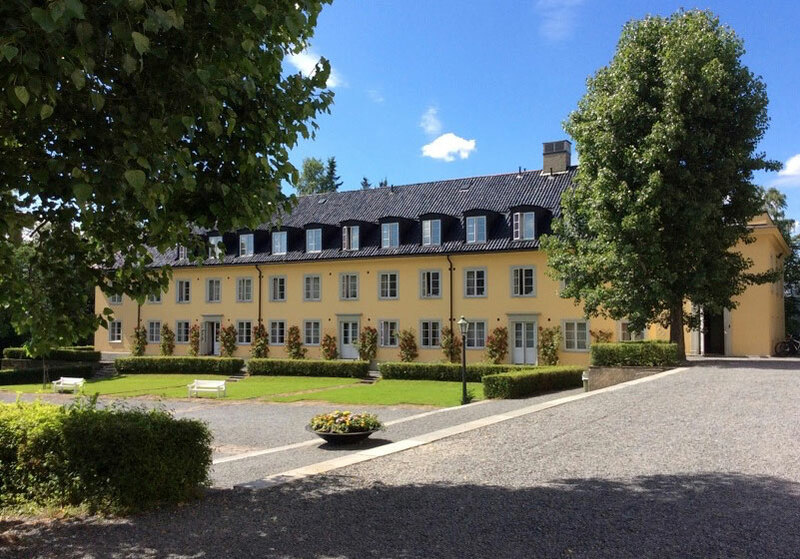 The experience here at the Studenterhjem has been worth the trip. I later learned from others that Blindern is very unique among dormitories here in Oslo, which honestly isn’t all that surprising. All I can say is this trip would be worlds different if we weren’t so lucky that we got in this place.